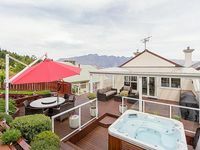 Luxury Queenstown living with unrivaled views. Property 18: Luxury Queenstown living with unrivaled views. The most mindblowing view possible in Queenstown! 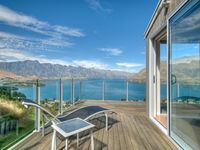 Property 19: The most mindblowing view possible in Queenstown! Stunning mountain and lake views. Private and warm. Property 33: Stunning mountain and lake views. Private and warm. Great holiday home - Amazing views! Property 37: Great holiday home - Amazing views! The apartment was spacious and clean and very well equipped. I would not hesitate to book again. 5 adults were in our party and it never felt crowded. Walking into town is a bit of a mission as the property sits on the top of a very steep hill but we were able to grab a taxi for $20.